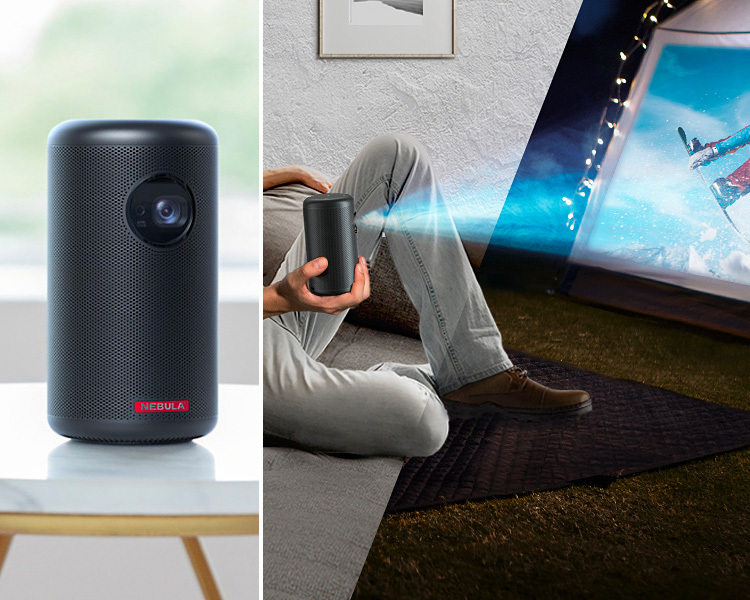 The Nebula Mars II from Anker is a compact, battery-powered DLP projector that combines Android 7.1 and all its apps with an indoor/outdoor 720p projector. Stream wirelessly from YouTube, Netflix, Plex and other apps, plug in your HDMI device, or a USB stick loaded with content, connect your computer, or game console. Whatever you want. 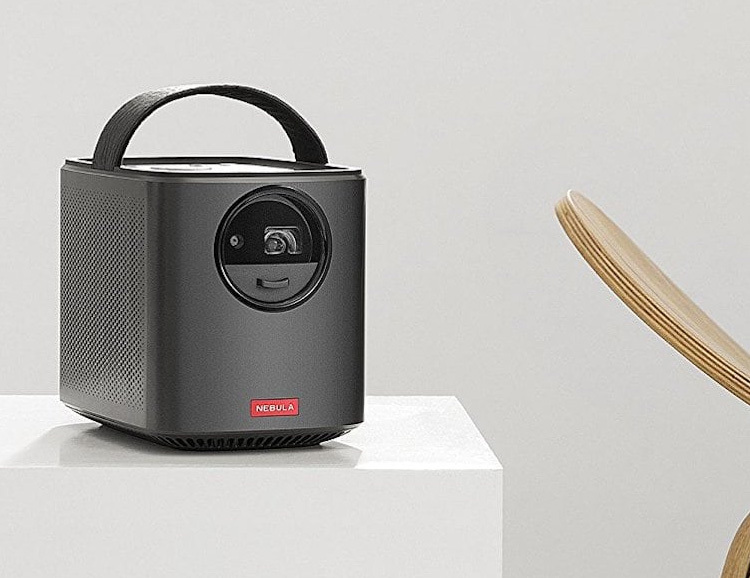 It’s got a 4-hour battery life, integrated speakers & is small enough to take camping, to the beach, BBQ, or backyard movie night. 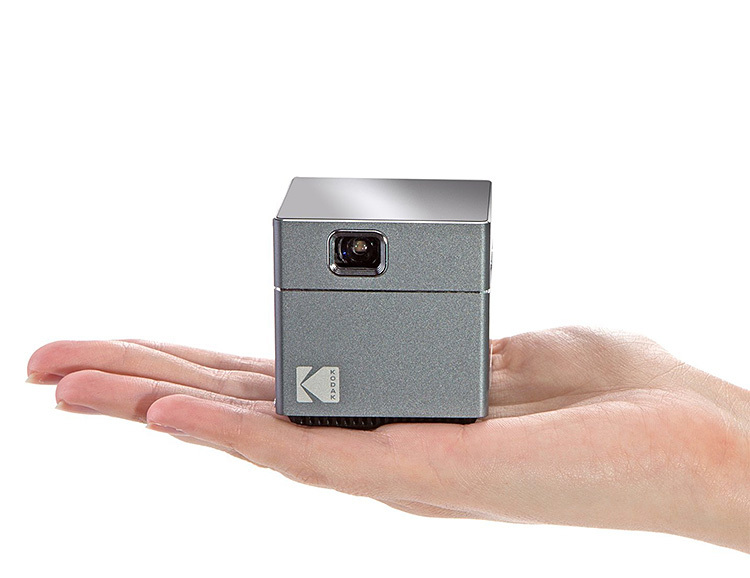 The Kodak Wireless WiFi Portable Projector is a tiny box that makes a big screen up to 100-inches. 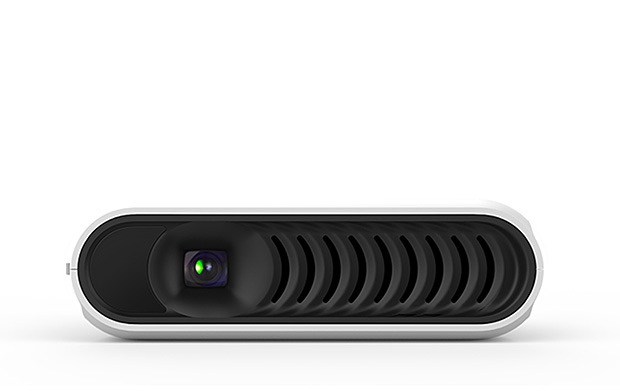 It’s a DLP Pico LED 1080p HD mini projector that supports Android Miracast, iOS Apple Airplay, plus smartphones and other content delivery devices like gaming consoles, and computers, all via cable-free wifi. It’s rechargeable, has built-in speakers, as well as ports for HDMI and Micro SD card. 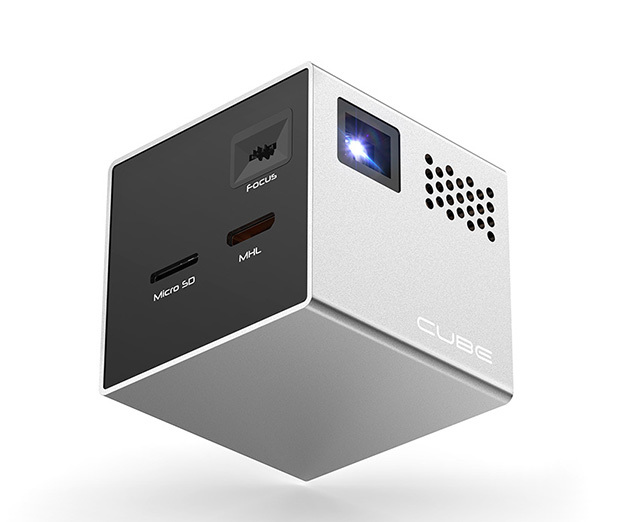 The Cube is the first projector built specifically for mobile devices, expanding what’s on your phone’s 5-inch screen all the way up to 120-inches. 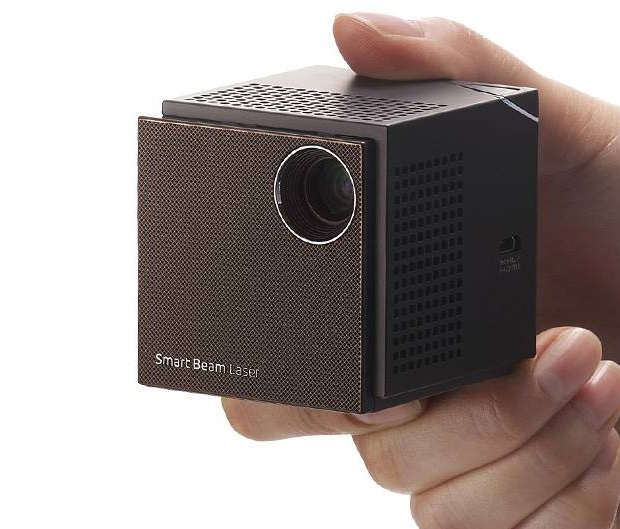 Roughly the size of a GoPro it supports video input from Micro SD, MHL & HDMI. The bright LED light source means crisp, clear colors on a variety of viewing surfaces. The system includes the Cube, a flexible tripod, remote & charger. As fun as it is to gather around someone’s phone and watch along, this mini HD pico projector will surely provide a better viewing experience. It features a laser diode that makes it bright enough for daylight use & offers crisp, 720P HD projection up to 100-inches. 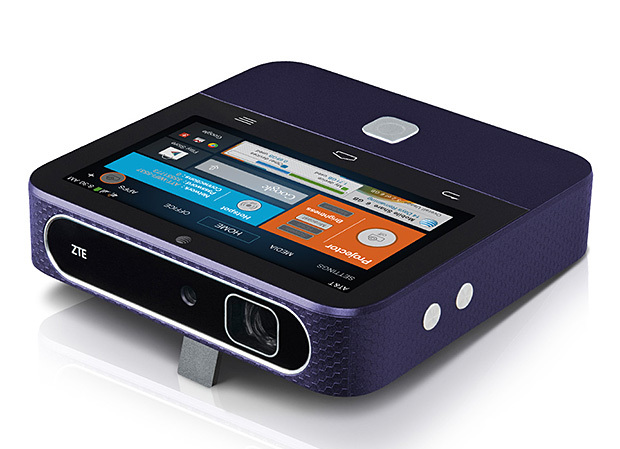 The original Spro wireless projector from ZTE was a hit but the new Spro 2 leaves its predecessor in the dust. It features a 200-lumen bulb that is twice as bright, a full Android operating system and touchscreen navigation. It can project up to 120 inches & uses 4G LTE to create it’s own high speed wi-fi hotspot. LG continues its push to rule the realm of home projectors with the new HU80K. This model can create a 150-inch screen at an amazing 2,500 lumens, making this LG’s brightest projector which also supports HDR content. A pair of built-in 7W speakers creates an immersive audio experience without the need for external soundbars or speakers. 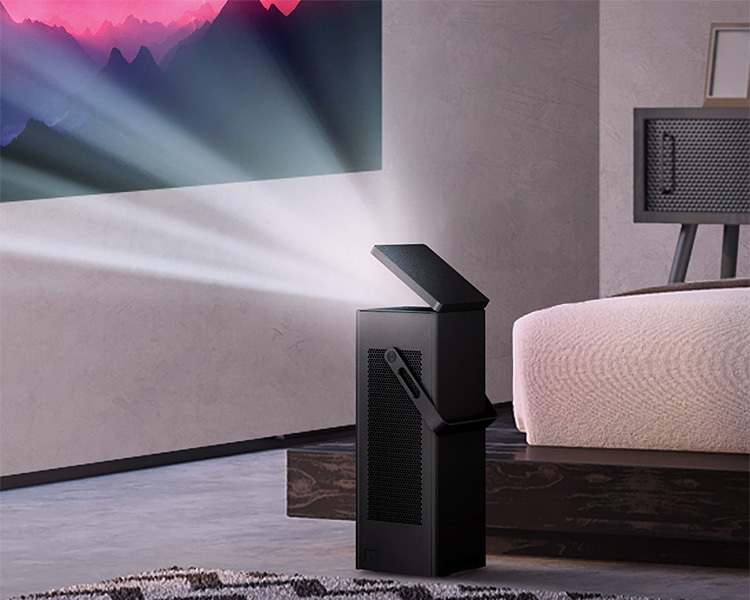 This smart LED projector turns any surface into a screen up to 300-inches in size & delivers a bright 3D viewing experience. It also has built-in Harman Kardon stereo sound quality and wireless video streaming from your Android devices. 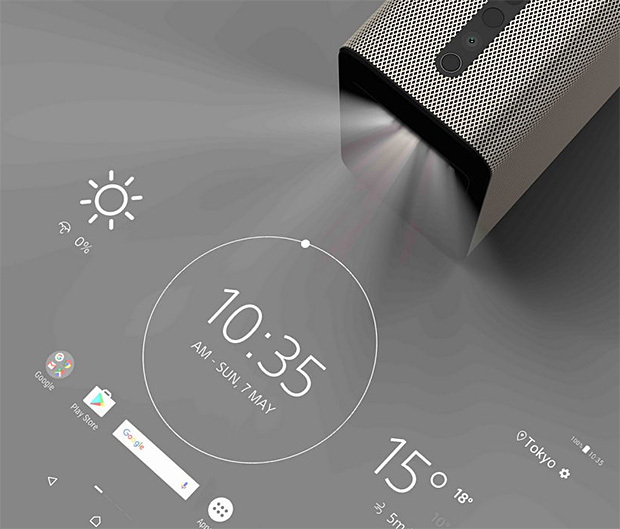 Sony’s Xperia Touch is an interactive home projector that adapts to any flat surface. On tables, walls or floors, you can watch videos, play games, read, draw pictures, or use it to leave messages & reminders. It has 32GB of onboard storage as well as wi-fi, bluetooth, & NFC capabilities. Big screen movies anywhere from your phone sounds pretty rad, right? That’s what the Nebula Capsule II has in store for you. 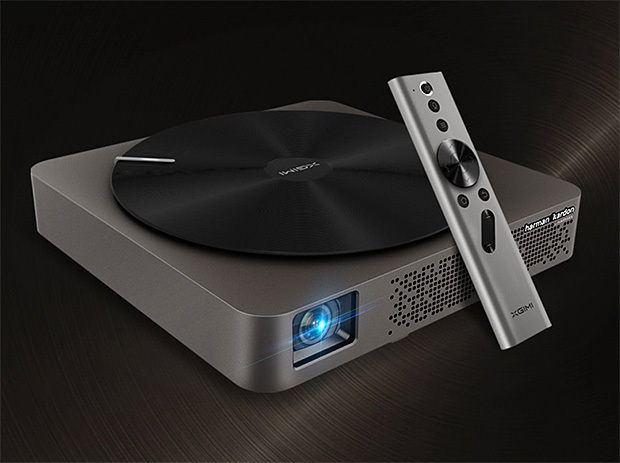 It’s the world’s first Android TV pocket cinema, delivering a bright 200-lumen HD projection at 720p up to 100-inches wide. 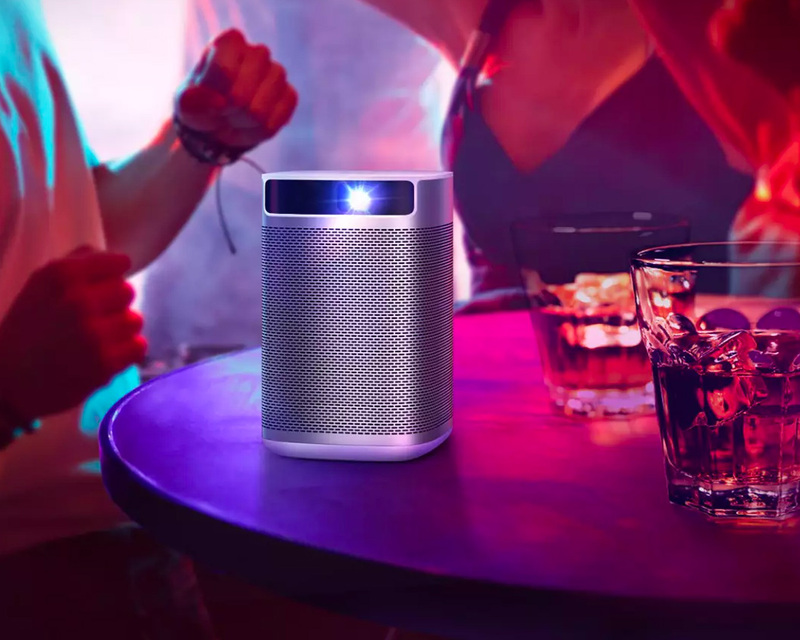 It delivers clean, full-range audio, including deep bass, offers access to over 3600 native Android apps, and has a 3-hour run-time with fast, 2.5-hour recharge and it includes a wireless remote. A funded Kickstarter. 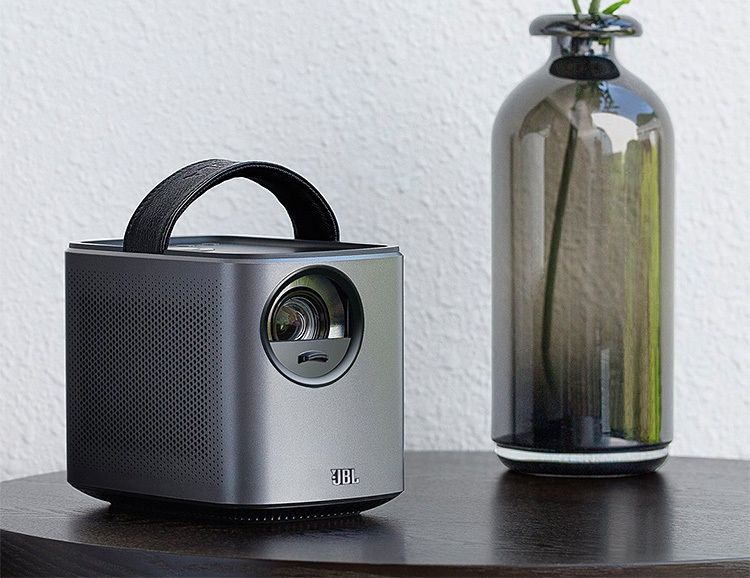 Touchjet Pond is the world’s first smart projector. In addition to projecting your computer screen onto a wall up to 80-inches across, this device allows you to tap, swipe, & write on the wall as well. Day or night, indoors or out, the Nebula Mars Portable Cinema super-sizes your gaming and movie-viewing. Stream content wirelessly or plug in any viewing device and this projector gives you a widescreen, 4k supported HD view up to 150-inches wide. Audio is delivered through a pair of 10W JBL speakers and the 3000-lumen lamp ensures a high contrast, crisp picture even in bright daylight. 3-hour battery life.